All of our libraries are closed on bank holidays. Check libraries affected by bad weather. The library has automatic doors and hearing loop is installed. Please see: Library services for people with disabilities, for more information. 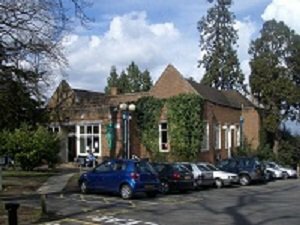 Esher library is situated behind the High Street shops, across the car park from Elmbridge Civic Centre. The library is situated next to the Elmbridge Civic Centre car park, which is pay and display. There are some disabled spaces near the library.